Wedding vows have been spoken, the couple has kissed, they are now married… it’s time for the party to get started! 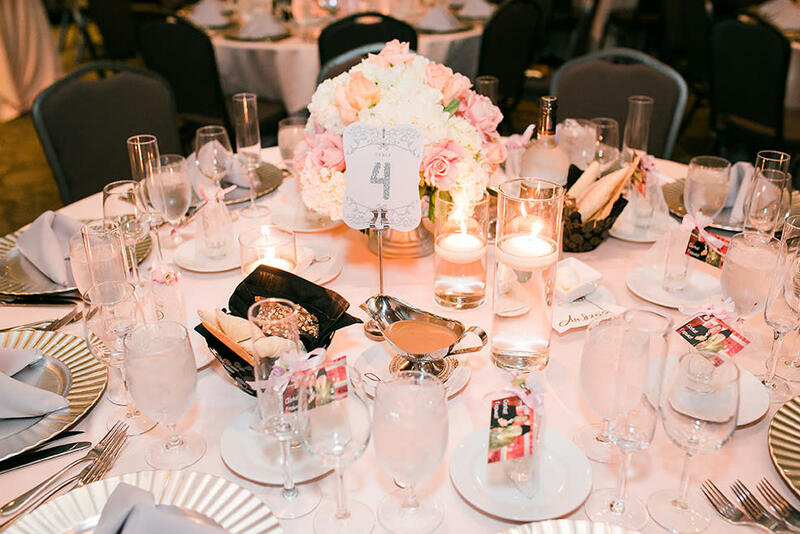 Wedding receptions are the time for the bride and groom to relax, let their personality show, and to enjoy their guests. 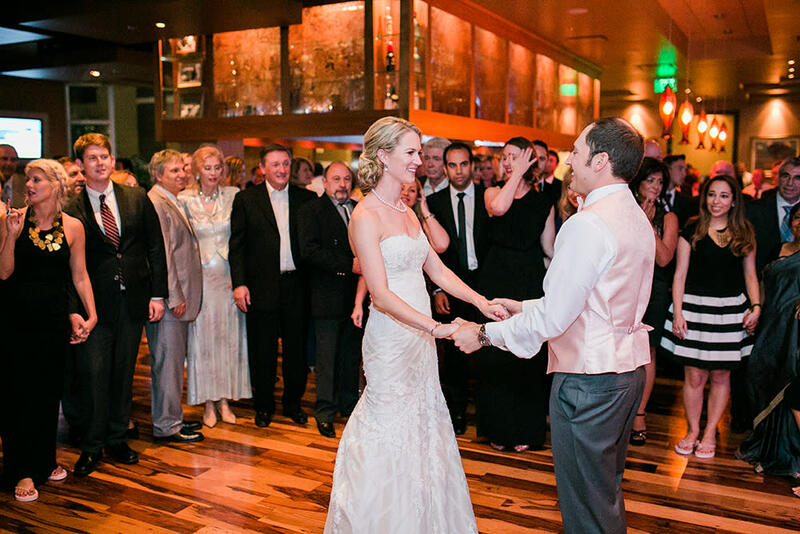 There are several beautiful and unique venues in Irvine that are perfect for wedding receptions, rehearsal dinners, showers, and special events. The inviting yet sophisticated atmosphere at Andrei’s is a beautiful venue for a wedding reception, rehearsal dinner, or shower. Couples have the option to express their personal taste through changing menus and décor. This creative customization is a unique option that Andrei’s offers their clients. The staff and bartenders are ready to serve at this indoor restaurant specializing in offering local and organically grown produce, sustainable seafood, and naturally raised meats. The great room on the first floor can accommodate up to 300 guests. 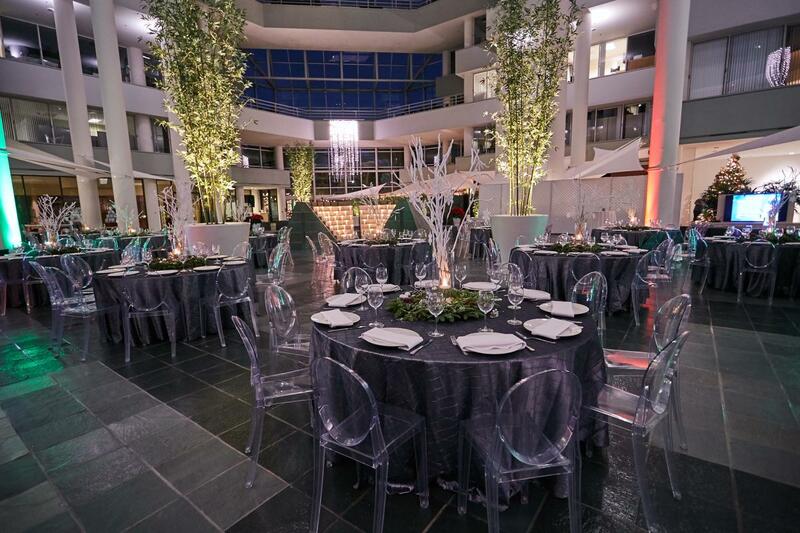 Located in the Atrium Building, Bistango has become known as an elegant venue for wedding receptions and special events. The Atrium courtyard with its cascading fountain, tropical plants, and customizable seating is a beautiful location for a wedding reception and can seat 300 guests for a meal or 600 for a cocktail reception. The extensive bar and 400 wine varieties compliment the New American cuisine and excellent service. For a rehearsal dinner or bridal shower, smaller private rooms or the patio are a beautiful location for these special events. Caspian is an elegant restaurant offering Persian and Mediterranean cuisine. 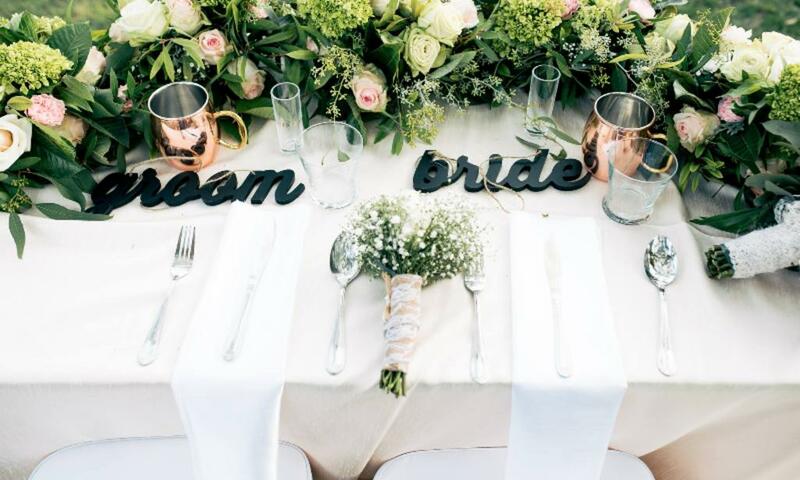 Full-service catering and event planning for weddings, bridal showers, rehearsal dinners, and more are offered. A private banquet hall can serve up to 400 guests. Delicious food and belly dancing, now that’s a party!